Westworld: So How Many Separate Timelines Have We Seen So Far? 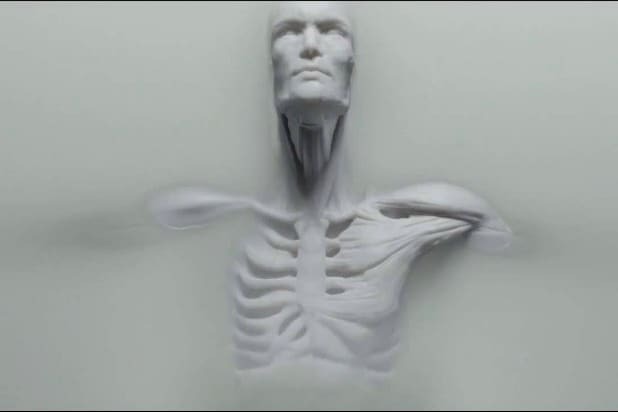 The ninth episode of HBO’s “Westworld” was covered in reveals, both big and small — but the main one that has been of interest to fans thus far is the confirmation that some of the narrative threads we’ve seen over the course of the season take place years apart. Many fans have believed for weeks that the story of William (Jimmi Simpson) and Logan (Ben Barnes) takes place decades before that of the present-day story because we haven’t seen them interact with any of the other human main characters. Some have taken that theory a step further, claiming that William is, in fact, the younger version of Ed Harris’ character, the so-called Man in Black. The latter theory still hasn’t been confirmed to our satisfaction, but the former was proven true to some extent this week. “The Well-Tempered Clavier” actually suggests that the William/Logan story and the present-day stuff aren’t the only two eras we’ve seen on “Westworld” so far. The confirmation that William and Logan are having their Westworld adventure before present events came via a photo that Logan whipped out as he was yelling at William for taking the park too seriously. That photo was of Logan’s sister, who is also William’s fiancee. We’ve seen this photo before, way back in the pilot episode. Dolores’ (Evan Rachel Wood) father, Peter, found it on the ground, and the memories it triggered broke him. So, at some point, William or Logan will lose that photo while they’re in the park, and it’ll be recovered by Peter some time later. 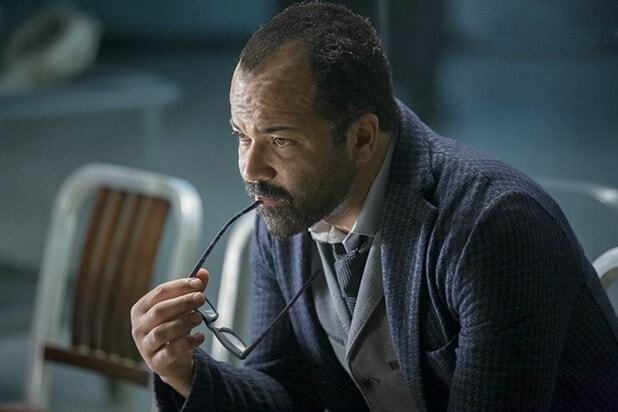 The other big reveal is that Bernard was built to look like Dr. Ford’s (Anthony Hopkins) long-dead partner Arnold, and that those many scenes in which we believed Bernard was speaking privately with Dolores actually were scenes in which Arnold was speaking with Dolores. See, Arnold had been testing the hosts for true sentience in a secret underground area hosts could access through the confession booth in the church. Arnold was dead by the time William and Logan arrived at the park, which means those scenes took place even earlier — which gives us at least three separate time periods for the show so far. In the eighth episode, the Man in Black revealed to us what is likely another discrete time period — when he killed Maeve (Thandie Newton) and her daughter before Maeve was reassigned to be the madam at the Mariposa. Maeve has been the madam since we first saw her, so that whole thing must have taken place before the first episode. Plus, we see Ed Harris committing the murder. So if the Man in Black is actually William, that would put those events some time between the two main story threads. And there could be more. We’ve seen Dolores remember moments that could have occurred at any number of unknown times… but there’s at least three, probably four, and possibly a number of others. The finale, this Sunday, will likely make the picture a bit clearer.